Rollin Thurlow is a traditional kind of guy. A master craftsman, he and his team at Northwoods Canoe Company build and repair wood and canvas canoes using traditional materials, techniques, and methods. They do it the old way, producing work of incredible quality and beauty as they build and refurbish wooden canoes, each one crafted by hand. We have a special appreciation for that sort of thing at RainStorm, and we‘ve had the pleasure of working with Rollin’s company for more than a decade, but Rollin called us to say that it was time to update the website as his grandsons couldn’t see it on their cell phones. While it’s true that canoes can last for decades without too much intervention, the same can’t be said for websites, and while the site was still functional, it wasn’t meeting modern expectations. We worked with Rollin to create a new website built on WordPress that would feature large, beautiful photos of his handmade canoes and which he could update easily from his workshop in Atkinson, Maine — and which his grandsons (and everybody else) could fully access from their cell phones. 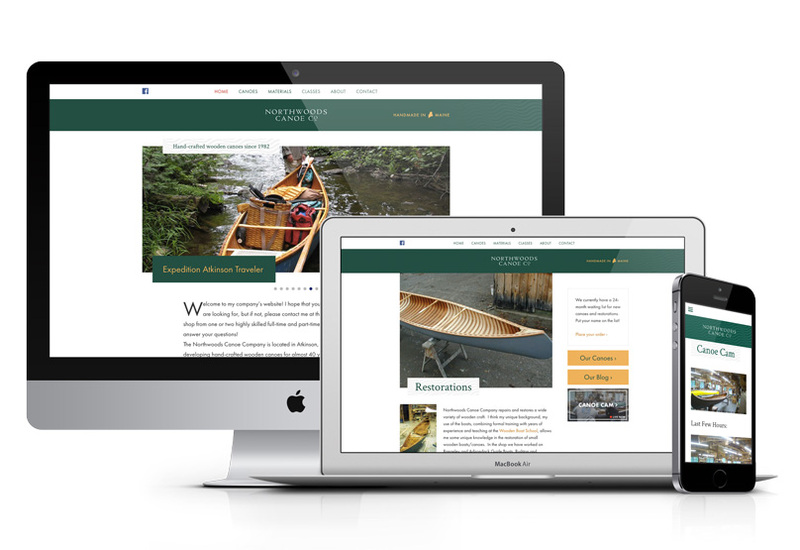 Taking design cues from the woods and waters of Maine, we created a mobile-friendly design that was airy, clean, and modern, showcasing the Northwoods Canoe Company’s spectacular handiwork with large images wherever possible. These pictures not only tell the story of the craft but also create a vision of life with these practical masterpieces. To display each canoe and product with well-organized descriptions, photo galleries, pricing, and other information, we chose WooCommerce, the most popular eCommerce tool in use. Northwoods Canoe Company isn’t ready to sell its products online yet, but if and when they are, they’ll have the ability to turn on the sales functions with relatively little impact on the overall site. One of the favorite features of the original site is the Northwoods Canoe Cam, which previously had to be viewed on separate site. We integrated the Canoe Cam into the website, to ensure that the Northwoods audiences stayed on the website and made sure that it could be viewed easily on a cell phone too! 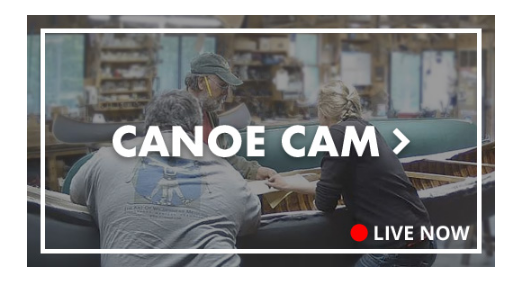 We’d be fibbing if we didn’t admit that sometimes we just visit the canoe cam ourselves to check in on the Northwoods Canoe Company team and see what’s in the shop on any given day. We totally recommend it! Visit the Northwoods Canoe Cam!